HOT! Grab this while you can! 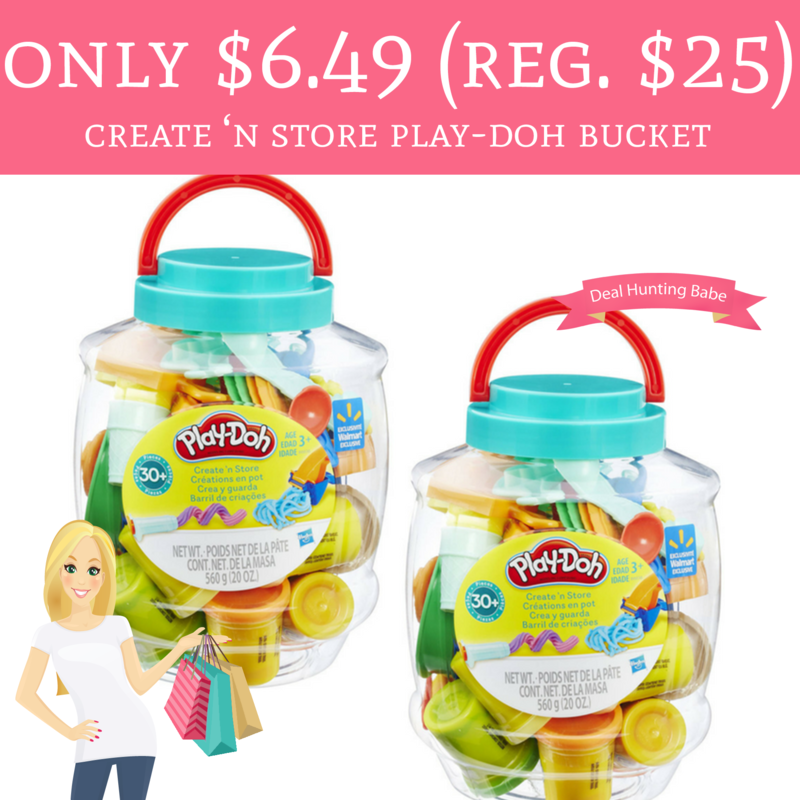 Hurry over to Walmart and you can grab a deal on a Play-Doh Create ‘N Store Bucket for just $6.49 (Reg. $25)! This comes with 10 cans of play doh and 28 accessories and would make a perfect gift to keep little hands busy! Choose pick up in store to avoid shipping fees or spend $35 or more for free shipping! Grab yours now!